Here we go again 🙂 Happy Wedding Wednesday! I’ve decided to link up with Macy from To Travel and Beyond and Meg from Borrowed Heaven for Wedding Wednesday! What does this mean? I’m going to start sharing small details from our big day each Wednesday. Ben and I are not very traditional and we wanted our wedding to represent us, so that means our wedding could not by the books! As I shared last week, our guestbook wasn’t very traditional. We’re unique and wouldn’t let our wedding being anything but! 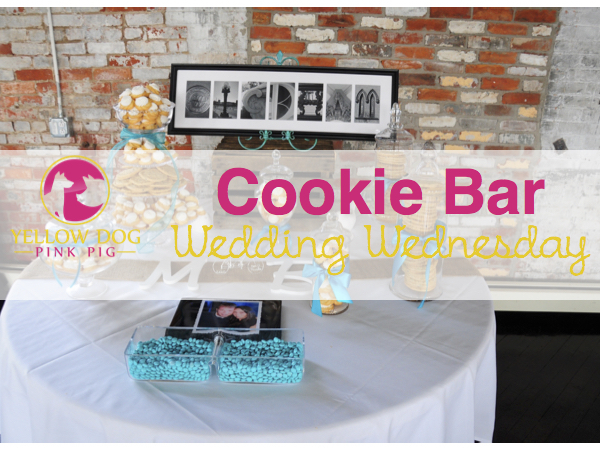 This means we decided instead of a cake, we wanted a cookie bar! I spent all summer collecting jars from TJ Maxx. I had my eye on the apothecary jars. The collection had to be just perfect! 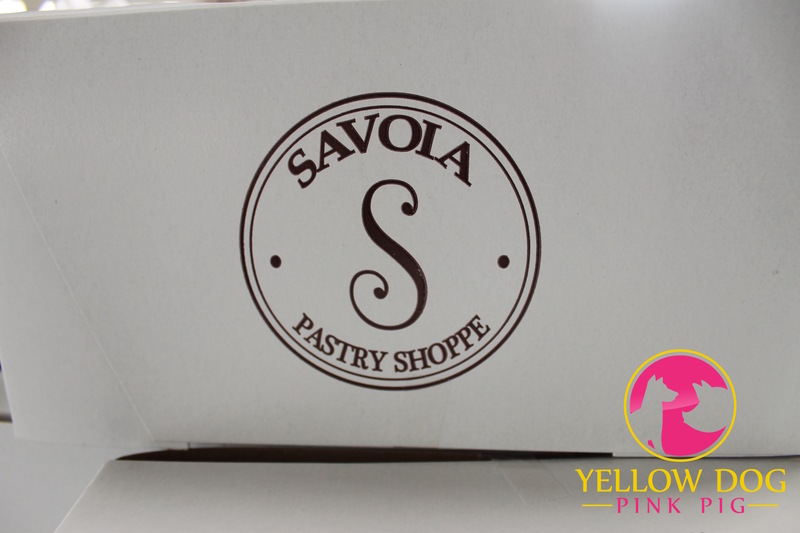 We included our favorite cookies from a local pizza place, Uncle Joe’s and some pastries from Savoia! We also included a few teal M&Ms. How was your cake or desserts displayed? Let me know! Do you see that “Wickham” art work? I’ll be sharing how to make your own soon! 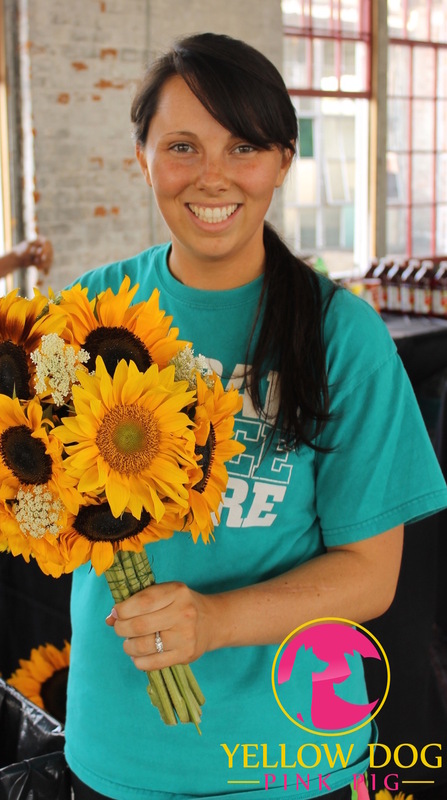 Check out my other Wedding Wednesday post here – Unique Wedding Guest Book! Love the displays of desserts, just beautiful! Thanks! I still have all of the jars and plates, which are so nice to use and remind me of this wonderful day! Agreed! I love going to weddings that are unique to the couple. I hate the cookie cutter days that have no significance. Love this! I so agree in having a wedding that works for the Bride & Groom. 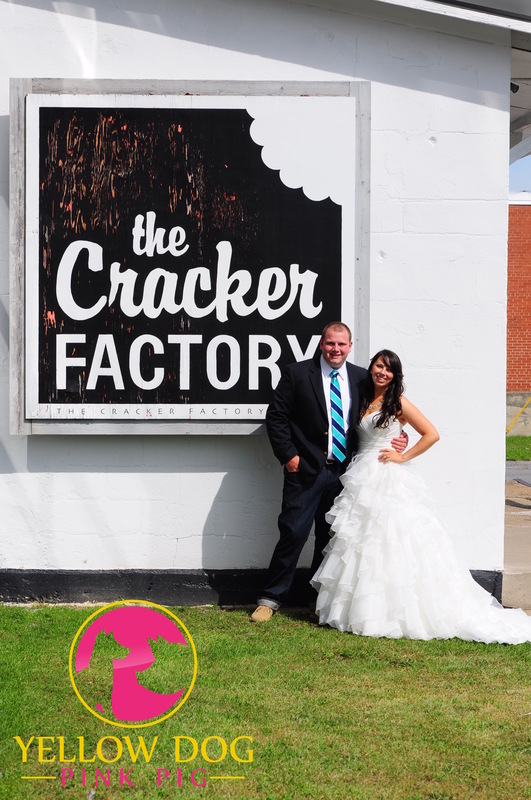 Cake is not the favorite dessert of my husband or I, so we choose to go with an ice-cream bar, banana pudding, and strawberry shortcakes for the dessert choices at our wedding and I wouldn’t have done anything differently! 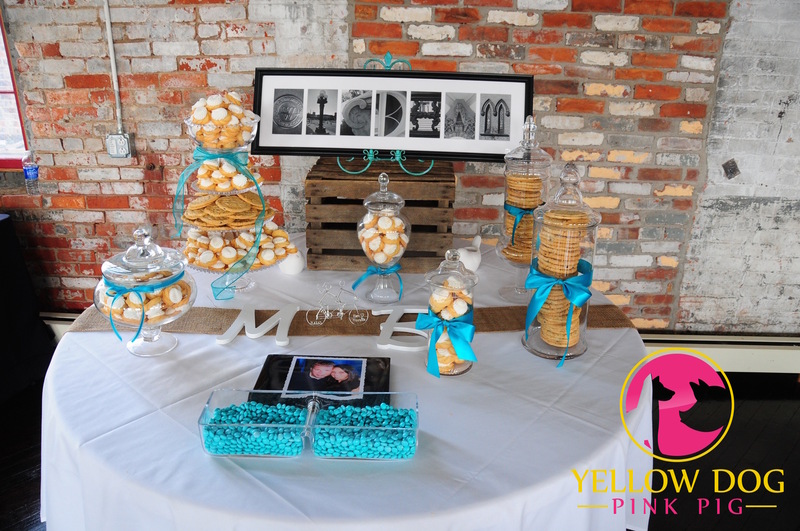 Love the idea of a cookie bar as well! Ice cream – YUM! My sister-in-law had an ice cream truck come to her wedding for a late night snack. It was epic! 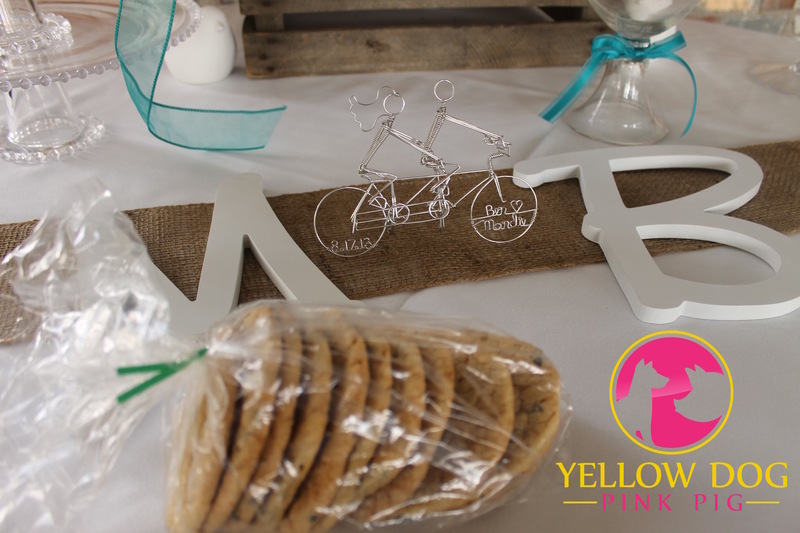 Such a great idea, those cookies look divine!